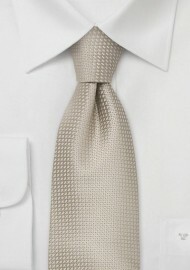 A elegant wheat-tan silk tie that is made in XL length with the big and tall man in mind. If you are taller than 6 foot and 3 inches and are looking for an elegant silk tie then this is a perfect tie for you. 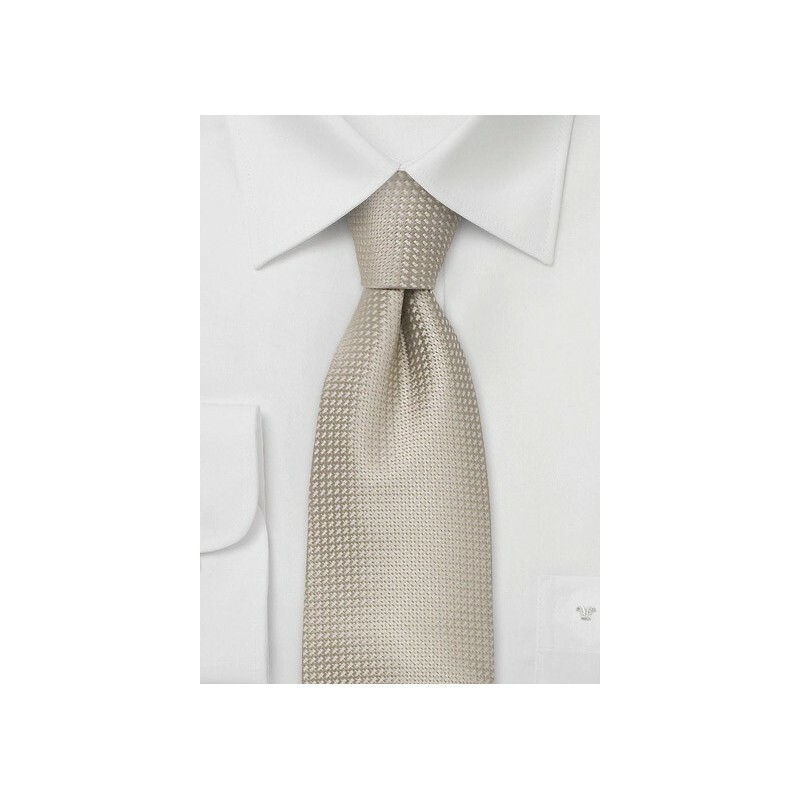 To match this tie we suggest the classic white dress shirt and suits in navy, black, tan, or olive. This is one of our best selling wedding ties and we also carry it in normal length. Handmade from 100% silk.